Two people were injured Wednesday afternoon, shortly before 4 p.m., June 10, when a vehicle disregarded the red light at the intersection of White Creek and 17 Mile Road. According to Sgt. 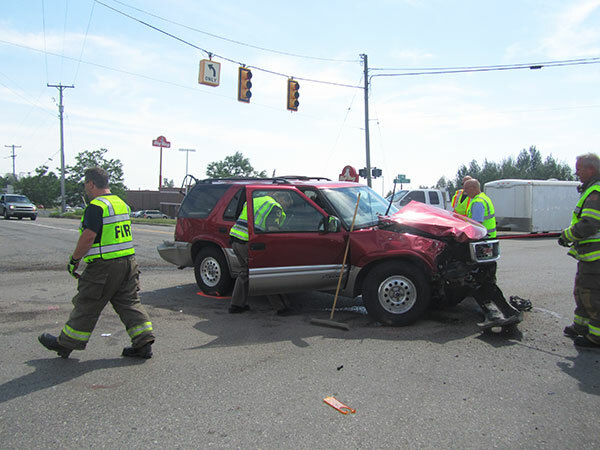 Jason Kelley, of the Kent County Sheriff Department’s Cedar Springs Unit, witnesses at the scene said that a woman driving a white pickup truck was driving eastbound on 17 Mile, when she disregarded the stoplight, and struck a red Blazer that was southbound on White Creek. 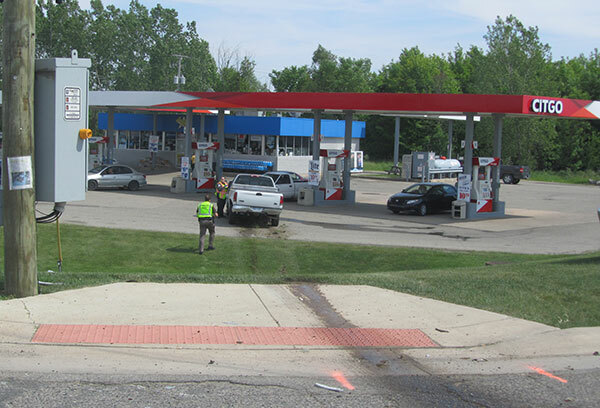 The truck then careened off the roadway to the right and drove down the hill into the BP gas station lot. 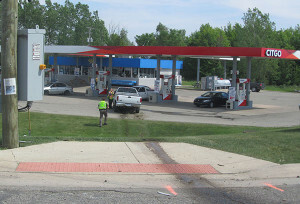 The driver of the Blazer, a Sparta man, was ejected. His front seat passenger, a woman was also injured. Both were sent to the hospital by ambulance, with unknown injuries. The driver of the pickup, a woman from Sand Lake, was not transported.